The European Commission has proposed a new law which would allow individual EU countries to restrict or prohibit imported genetically modified (GM) crops – even if they have been approved by the bloc as a whole. The US says the move is "not constructive." According to EU Food Safety Commissioner Vytenis Andriukaitis, the plan would "grant member states a greater say as regards the use of EU-authorized GMOs in food and feed on their respective territories." It will now go to the European Parliament and member states for further consideration. There is concern that giving nations the opportunity to opt out from EU laws goes counter to many EU initiatives which traditionally seek a common stance on EU policies. The proposal – which covers human food and animal feed – comes as a knock to the US, which wants Europe to fully accept its GM crops as part of an EU-US free trade deal. US Trade Representative Michael Froman said the move appears to separate the European Union into 28 separate markets. "Proposing this kind of trade-restrictive action is not constructive," he said in a statement. EU food and feed chain partners have also rejected the proposal, saying it will have extremely negative consequences. “It will seriously threaten the Internal Market for food and feed products, causing substantial job losses and lower investment in the agri-food chain in ‘opt-out’ countries. This would cause serious distortions of competition for all EU agri-food chain partners,” Pekka Pesonen, secretary-general for Copa-Cogeca – a European farming and livestock organization – told World Grain. Environmental groups have also criticized the proposal – but for entirely different reasons. They fear the law wouldn't provide the legal backing for governments to opt out, opening them to legal challenges from the US or biotech companies. According to the Commission, member states choosing to opt out of imported GM products would have to justify their decision without referring to environmental or health issues already assessed at the EU level. The Wednesday proposal comes just one month after similar legislation was signed by the European parliament, allowing member states a similar opt-out right when it comes to the cultivation of GM crops. 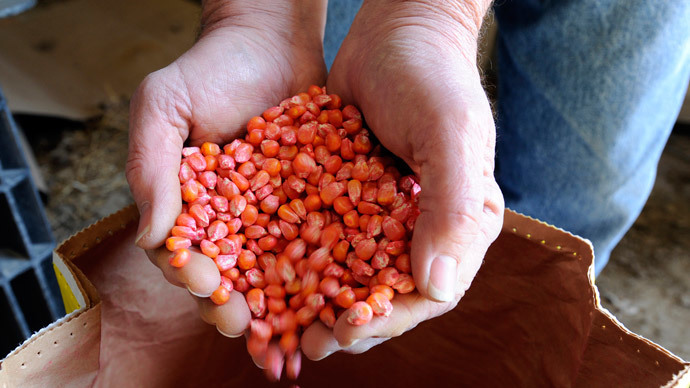 Europe has divided opinions on GM crops, which are widely grown in the Americas and Asia. Monsanto's maize MON810, which is grown in Spain and Portugal, is the only GM crop currently present there. But despite the limited number of crops being grown on EU soil – and the fact that there are hardly any GM products on sale for human consumption – there are 58 GM crops approved for feed and food, according to the European Commission. Around 60 percent of the EU's vegetable proteins for cattle come from soy and soymeal imported from countries where GM cultivation is prevalent. This is not the first time that Europe's relationship with GM products has prompted criticism from Washington. The US, along with biotech companies, has repeatedly noted that although there is a definitive process for approving GM products in Europe, that route appears to be blocked. According to industry group EuropaBio, the European Commission has not cleared any crops since November 2013. At present, 59 crops are pending approval and 17 are awaiting a final decision from the Commission after clearing checks by the European Food Safety Authority.